When buying any of the flights to Los Cabos, one of the main objectives is to make the most of the time and get to know the most important part of the city to return home with the best stories and memories, and of course, to admire the natural beauty of the place. However, this paradisiacal destination offers a host of fun activities of all kinds that is why we invite you to know some of them, where the only thing you will spend will be energy. 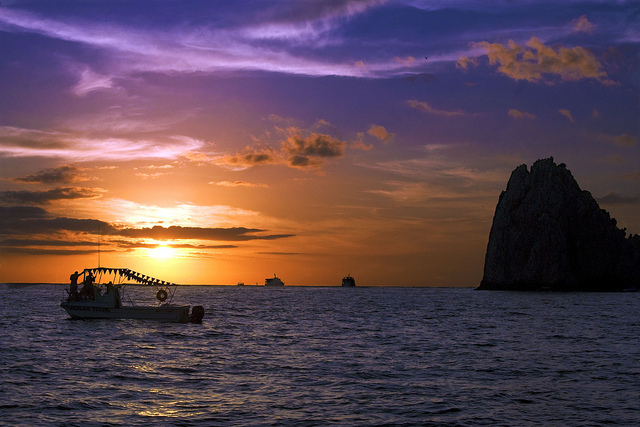 Touring the Marina of Cabo San Lucas is one of the activities that you can´t miss, either day or night, the marina is one of the must-see stops during your stay in Los Cabos. Don´t forget to take your photo on the iconic Cabo sign and share it with your family and friends on your social networks, to make this trip even more memorable. This fun event takes place every Thursday afternoon from 5pm until 9pm; during the months of November to June, you can enjoy a fun night walk through the art galleries of San Jose del Cabo in the famous Gallery District and drink a glass of wine while watching the work of talented artists. You can also enjoy a pleasant walk through its magical streets. Las Viudas beach is a hidden paradise, its rock formations are one of its main attractions, and it is located at Km. 12. 5 of the Tourist Corridor. Another option is Palmilla beach, with crystal clear waters and gentle waves, on both beaches you can freely take your cooler with drinks and snacks, the best thing is that in the place, you won´t spend in restaurants or souvenirs. If you want to spend a very family time, on Sundays from 7am until 11am, Lázaro Cárdenas Avenue becomes a place where many families gather to walk, run, ride a bike, walk their pets and also to take Zumba classes, dance and Muay Thai. Go with your family and have fun while you move and exercise. The Pacific sunsets are simply unparalleled and in Los Cabos, there is an ideal place to watch the most spectacular sunsets, and late at night, an amazing sky full of stars. Migriño beach is the perfect place and is located about 30 minutes from Cabo San Lucas on the Pacific side, so bring a flashlight, some snacks and enjoy this magical experience. This is a place for nature lovers and is ideal for those who enjoy long walks, the locals use it to exercise since the road is well marked, and when you reach the tip of the hill the reward is the breathtaking view towards both seas, the Pacific Ocean and the Sea of Cortez. Don´t forget to bring bottles of water and your camera to capture the most incredible photos of when you chose one of the flights to Los Cabos.